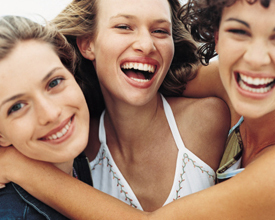 Teens & Dental Care | Eastern Long Island, NY | Joseph F. Sciotto D.M.D. If you have any questions about teenage dentistry or want to schedule an examination for your teenager, please contact Joseph F. Sciotto D.M.D.. We know that teenagers can be challenging too, in more ways than one! Many teens today are concerned with tooth aesthetics. While there are many cheaper methods available over-the-counter in any local pharmacy, the safest and quickest way to achieve a pearly white smile is by visiting Joseph F. Sciotto D.M.D..
At Joseph F. Sciotto D.M.D., we are as concerned as you are about your child’s dental health. If you have any questions or wish to schedule an examination for your child, please give us a call today.